Jungle cat breeds are strong, smart, powerful and ruthless survivors. They do NOT make cuddly bed buddies! It is dangerous and often illegal to own them. 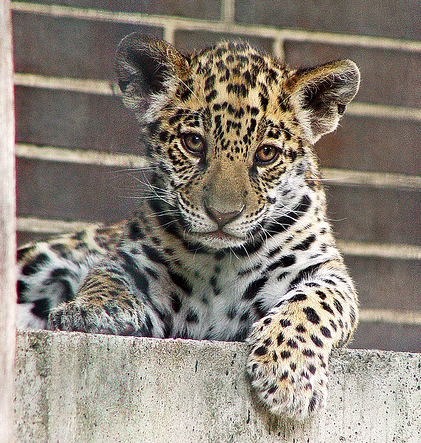 Young jaguar. Not for home use. They do not make cuddly bed buddies! It is not only dangerous to own a wild exotic cat; in most places it is also illegal. The intrigue of the exotic has always compelled humans to try to domesticate and “tame” the beast — most often with devastating results for people and animals. It is estimated that more than 7,000 exotic/wild cats are kept as “domestic pets” in the United States. That number is considerable given that there are only about 5,000 tigers in the wild worldwide. Between 1990 and 2011, 75 people in the United States were killed and hundreds more injured by wild animals kept as pets. It is a precarious proposition and not for the timid or inexperienced handler. Despite the risk of harm, it’s easy to buy exotic cats. In most states you can own a wild animal under certain regulations. 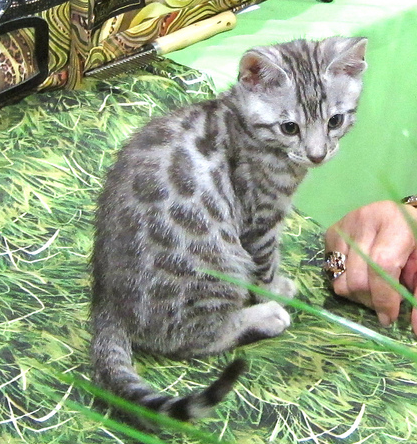 So, you think you really want to own a jungle cat as a pet? First of all, are you crazy? Second, there are far more considerations than the purchase price — which seems relatively small by comparison. You save your money and you have the required (in most states) five acres of land and an eight-foot-high perimeter fence to contain your new family member. As with most pets, the purchase price of an exotic/wild cat is just the beginning. The fee for a permit, assuming your state allows for possession of a wild animal, may range from $200 to $500 per year. The daily requirements are simple compared with maintaining an environment that is safe for the animal, other pets and humans. Wild cats need more mental and physical stimulation than domestic animals or they will become seriously aggressive. Special indestructible toys are available at $150-$500 each. Like their tame relatives, wild cats love to roam — especially at night. It is essential to buy heavy steel cages for their containment. Big cats “mark” their territory, regardless of the gender. The urine is strong, caustic and odorous. It will eat through metal enclosures over time, so plan on replacing the cage every few years. Wild exotic felines have big teeth and sharp claws that will rip furniture to shreds in seconds. Domestication rarely provides the wild animal with the dignified and humane life it deserves. Sadly, monitoring agencies estimate that 98% of wild cats sold as domestic pets die in the first two years of captivity. Cute, sweet cubs grow in to unpredictable, destructive adults. The Exotic Feline Rescue Center (EFRC) reports that an average of two exotic cats are surrendered to its shelter every month. Right now the agency houses around 230 wild felines. There is an alternative solution to satisfy the human desire to own an interesting, wild cat for cohabitation. Consider a beautiful feline possessing the appearance of a wild exotic cat but with the docile compatibility of a house kitten. Such a prize does exist. Efforts to cross-breed certain exotic/wild cats with domestic felines has produced the hybrid, or exotic-domestic cat. Several exotic-domestic hybrid breeds are included on The International Cat Association’s genetic registry of purebred cats. These beauties may have certain health requirements and may be expensive, but they are less likely to terrorize your neighborhood, eat your dog or use your car as a scratching post!